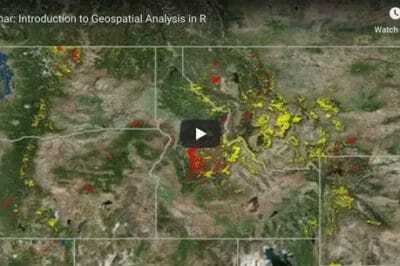 If you’re trying to figure out the ideal gift for the GISer or geographer on your list, check out these great ideas for your Christmas and holiday gift shopping. This list will be updated as new deals and unique geography themed gifts are discovered for the 2011 season. 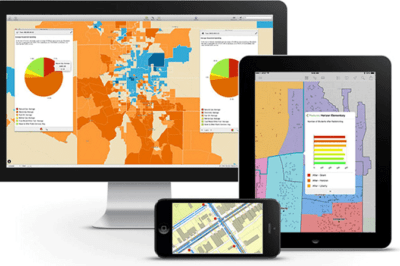 Publisher Black Dog is offering 40% off its Mapping Books series. The series includes Mapping LondonblackDog – an anthology of over six centuries of London maps, tracing the fascinating evolution of the city in all its labyrinthine glory and Mapping America – an illustrated survey of America’s cartographic landscape from early maps to the latest contemporary portrayals depicting America today as well as Mapping England, and Mapping New York. The offer is open until December 31, 2011. To place an order with the 40% discount, email Jessica Atkins of Black Dog at jess@blackdogonline.com with the book(s) of interest and your delivery address. 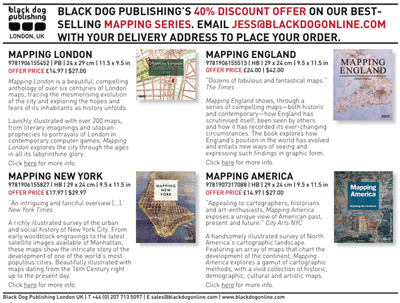 Map Books offer from Black Dog Publishing. Click on the image for the full flyer. The Axis Map store is offering maps made from nothing but type. Each map was painstakingly created over hundreds of horus and accurately depict the streets and highways, parks, neighborhoods, coastlines, and physical features of select U.S. cities. The Axis Map stores offers typographic maps for the cities of Washington D.C., New York City, Boston, San Francisco, and Chicago. 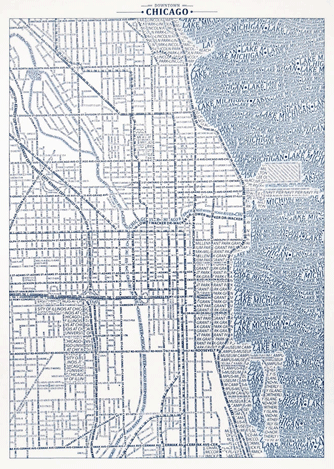 Typographic map of Chicago by Axis Maps. For the geographer when there is no budget to the gift: Bellerby Globemakers has designed a limited edition Churchill globe. The globe takes its inspiration from the globes presented by Army Chief of Staff George Marshall during World War II to British Prime Minister Winston Churchill and US President Franklin Roosevelt. 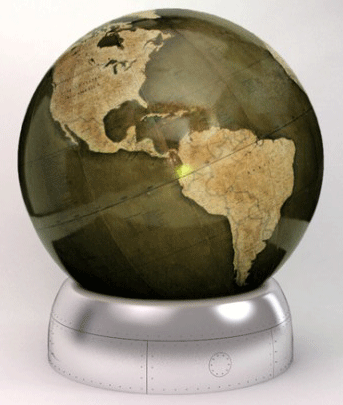 Like the original globes, the Churchill Globe is 50 inches in diameter. The aluminum base is made by Aston Martin. The globe makers will create no more than six per year (forty total) and each globe will be tailored to the specifications of client. The first set of globes are priced at £25,000 (about $40,000). Churchill Globe by Bellerby Globemakers. California wasn’t always attached to the west coast of the North American continent. It used to be an island. At least, that’s what mapmakers, mostly European, believed for about 100 years, from around 1650 to 1750. So that’s how they drew it on their maps. The “Island of California,” as it is commonly called, is just one of the innumerable collecting niches that are possible in the increasingly popular field of antique map collecting. Antique map collecting is a tradition that goes back hundreds of years, which is perhaps one reason why there is such an enormous amount of material, from the affordable to the prohibitively expensive, in circulation today. Two reasons for the popularity of antique map collecting are that antique maps appeal to a broad spectrum of people (for a variety of reasons) and they make very attractive framed pieces that can be enjoyed by many.The wide range of antique maps available today means that a novice can easily enter the field, although hopefully armed with a little caution and common sense. The best place to begin is with some reading. Two excellent books for the beginning collector are Collecting Old Maps by Francis J. Manasek, and Collecting Antique Maps: An Introduction to the History of Cartography, by Jonathan Potter. 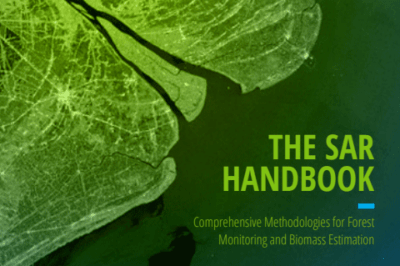 Armed with a little guidance from these excellent books, the new collector is likely to focus on a particular niche within the map collecting field. This is an important step, since it is by narrowing the focus that a beginner is able to most quickly gain the necessary expertise for successful, and enjoyable, collecting. However, the new collector should also take some time to look around before jumping into a chosen area. There are as many collecting “areas” as there are collectors, and a little time and effort spent exploring the field may lead to surprising and unique choices.What can a person expect to pay for an antique map? The price range is as wide, or wider, than almost every other field of antique collecting. Perfectly acceptable antique maps can be had for as little as $50. For those with a deep pocket, rare or hard-to-find maps can easily run into five or six figures. With the relatively low cost of entry, antique map collecting is an ideal choice for many individuals, combining wide opportunity for research and learning (history, geography, art, engraving, printing, politics, to name but a few) with the opportunity to display one’s prizes in an attractive way. And for those who truly “catch the bug ,” antique map collecting can become a passion that is limited only by the imagination.